Spec Ranch underway now. Excavation to commence before the end of May. This ranch package offering is on one of the finest wooded lots weve had in the Larkspur area. Not too sloped, but gently sloped for a really nice setup. Walk up 80 onto the lot and youll see for yourself! Rear view into trees will be very private. 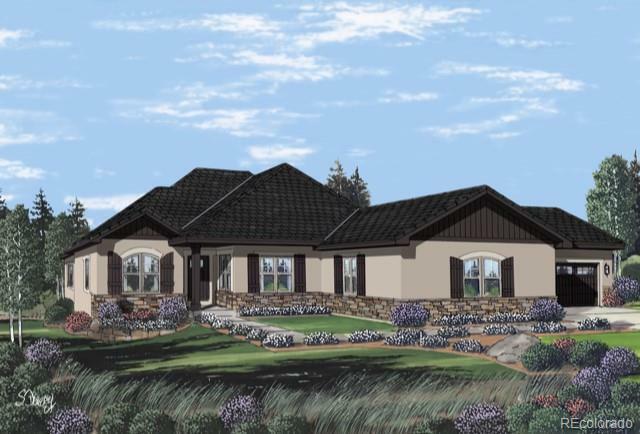 Ranch Living's new Windsor layout offers 3 bedrooms on the main level with 2300 finished s.f. on the main level. Layout is semi-custom, so you can have the flexibility with minor mod's. 2nd bedroom is huge with its own en-suite bath and an oversized laundry room. We have a Windsor Ranch in process nearby that you can walk through. MUST SEE! Contact me for website address to view floor plans.